This visual communications degree offers a comprehensive opportunity to investigate the intersection of graphic, interaction and motion design. You will focus on conceptualizing and creating user-centered design wherever there is a screen or digital experience. This can include mobile phones, automotive instrument panels, medical devices, wearables and more. This major reinforces the importance of user experience design by combining insight from all areas of design. Choose to focus your studies or combine course sequences from communication design, interaction design, motion design, and design studies. By combining historical, communication and aesthetic theory, principles, and creativity, your work will anticipate design evolution and lead innovation. The MFA in visual communication design focuses on all areas of design, including graphic design, user experience/interaction design, design studies, motion graphics, and 3D digital design. The changing landscape of people’s everyday interactions has blurred the lines between respected design fields, giving designers new responsibilities to shape experiences. The MFA program embraces this new technology through its curriculum, which addresses these merging skill sets. The MFA in visual communication design provides a learning environment for advancement in innovative research, user-centered design, and professional practice focusing on the creative potentials of visual communication through a full spectrum of media. Students may advance their design knowledge and technical skills by choosing an option in communication design, interaction design, or motion and 3D digital design. The cross-disciplinary nature of the program offers a greater potential to foster innovation and creativity in visual communication design. The program reflects the current views and changes occurring in the professional design field. The skill sets required of graphic, interactive, and digital design have now crossed over and are interrelated. Shehzil Malik ’14 (visual communication design) is a designer who has extensive experience as an advocate for social change. She believes in gender equality with every fiber of her being and hopes her work can help women around the world realize the power they have as individuals. This seminar focuses on a basis in the history of design, which complements the overall graduate studies in the School of Design. Interdisciplinary in nature, the course is thematic and emphasizes performance on the part of the student in dynamic dialogue on course topics. The course content focuses on subjects relative to the history and theory of design (people, processes, products, environment, culture and places), critical thinking and contextual historical issues. Students are expected to read seminal design articles, write critical essays and questions and to participate in weekly discussion groups. On-line technology is utilized in addition to slide lectures. This course is an introduction to digital three-dimensional visualization. Students learn all aspects of 3D design, from modeling all the way through rendering the final images to setting keyframes for animation. Once familiar with the basics of production, students are encouraged to focus on specific topics such as lighting and texturing and the creation of visual effects for gaming, broadcast, visualization and education. This course provides an in-depth look at human-centered interface design. Students develop interactive web pages with functional design and usability for e-commerce, education, and the communication of visual communication. Emphasis is placed on the integration and application of design skills applied to information architecture, user navigation and orientation. Projects are focused on designing alternative navigational solutions for online Web applications and touch-screen devices such as mobile phones and touch-pads. This course examines the historical, theoretical, and perceptual aspects of typography for print and screen use. Grid structure, composition, hierarchy, message conveyance, and formal aspects of typographic design are explored with an emphasis on developing harmonious type and image integration into cohesive, sequential design applications. How temporal structural elements such as rhythm and pacing affect visual communication in a dynamic medium is also investigated and applied. This course focuses on motion design from story reels to the final project. Course content focuses on visual components, and assignments translate production techniques used in traditional filmmaking into the online environment. This includes the use of line, space (two and three-deminsional), composition and framing, simulated camera movements, color, and sound. Using a time-based application as the authoring tool and the techniques outlined in this course, a student will be able to produce interactive stories, such as online graphic novels and webisodes. As an introduction to the field, this course will present the many complex roles of design–as process, product, function, symbol and use. This seminar will approach critical views of design studies from an interdisciplinary perspective. Faculty colleagues representing diverse campus expertise and beyond will contribute from their respective knowledge bases. The course will require readings, discussion, critical thinking, and writings as we examine the impact of history, theory and critical analysis as related to the interpretation and understanding of design. This course investigates a systems thinking approach for the purpose of clear, unified communication. The complexity of multiple components are integrated into a common framework to solve graphic design problems. Conceptual mapping, design process strategies, user-centric goals, visual symbolism, the balance of design with cultural, environmental and technological factors, design writing, and design evaluation are integrated into the course. Both theoretical and applied problems will be developed. This course provides students with the necessary skills to further develop a research plan into a specific design inquiry with an application component. Emphasis is placed on identifying connections and integrating content between this course and the culminating first-year experience in the MFA Visual Communication Design program. Students will chose a topic, write a design proposal, and design and implement a project from inception to conclusion. This involves research, development, evaluation, refinement, completion of a finished creative project, and documentation of the process. The project can be produced independently or collaborative with advice from the instructor. This course explores the importance of reader and user responses to written and visually presented information. Problem-solving, functional requirements, information transmission, accessibility and design structure are integrated while investigating a variety of formats (i.e. charts, diagrams, business forms, tables, maps, instructional materials, wayfinding systems, and technical data.) Applied problems are solved through principles of language, structure, diagrammatic interpretation and the visual display of information. Solutions will be developed for both print media and digital use (i.e. mobile devices, computer screens, kiosks, etc.). This course will help students prepare for a professional career in design. Equally as important as design theory, the content focuses on the practical knowledge of production and design skills, and exposure to basic business practices. An overview of business and economics related to the design world, goal setting and productivity skills, professional ethics, marketing, the interviewing process, and strategic analysis is addressed. Projects provide an in-depth look at creating an effective digital portfolio and curriculum vitae based upon personal strengths and interests, with professional standards, and career expectations in mind. Research is the backbone for any project. This course focuses on the design research and planning stages of a thesis project. Students define a design problem that provides a significant addition to the design field while addressing needs in the local, regional and/or global community. Course content addresses establishing content, planning, scheduling, and research seeking innovative solutions through the process of concept development, ideation, and in-process evaluation. This course focuses on the physical thesis project. Students work independently on their concept development concluding with the implementation and retrospective evaluation of their chosen design problem. Solution is presented in a public exhibition, complemented by a written articulation of how the theories and methods employed in the project impact the current and future state of design in society. This course applies design methodologies to multimedia applications. Students communicate ideas and information to specific audiences through interactive, instructional applications. Course work will integrate content research, developing measurable objectives, and information architecture with interactivity. At the completion of this course students will be able to design site maps and flowcharts, implement an effective graphical user interface, communicate layered information through a hierarchical structure, control user navigation and feedback using interactivity, and design cross-platform projects for entertainment, games, information systems, and education. 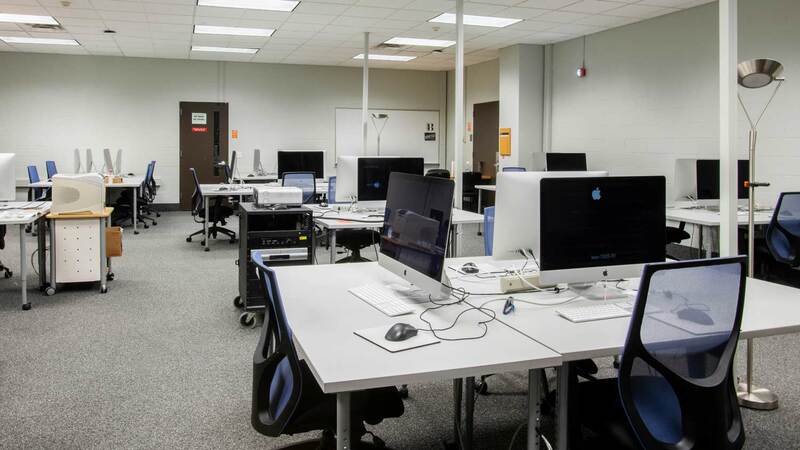 This course involves the research, writing, and production of printed applications based on content developed from RIT’s unique archival resources (Vignelli Center, Cary Graphic Design Archive, Cary Collection and Wallace Library) and others. Typography and imagery are used to interpret topics such as design history, theory and criticism with formal visual language. This intensive studio course investigates principles and theories related to systems thinking and application from diverse inter- and cross-disciplinary perspectives. Systems thinking is explored through many lenses that include concept, language, information, aesthetics, format, context, materiality and temporal considerations. Message-making, organization and implementation strategies are key components of this course. Students discover and practice design systems across a diverse range of studio, lecture and presentation experiences. The VCDE-717 Design Systems course is not a prerequisite for this course, but may be taken prior to this Design Systems Intensive course. This course focuses on motion graphics as an extension of traditional design that incorporates a temporal or time-based element into the message. Students are exposed to video compositing software and learn the craft, practice, and theory of what it takes to make it in the fast-paced, competitive world of motion graphics design. Computer software is used to composite visual effects in both animation and live video. Sequencing, storyboarding, digital audio, titling, and animation are integrated to produce time-based projects for film, broadcast, and the web. This course focuses on the visual look of a three-dimensional model. Students apply lighting methods to illuminate 3D models and spaces. The interaction of light and pigment, use of light in painting, photography, and film are used as examples. Techniques in using shading networks are incorporated into the projects. Displacement textures are used to create detail in models. This course also covers a contrast and comparison of various methods and resolutions of rendering and outputting information from 3D software. Students will learn the general production workflow of creating and integrating three-dimensional rendered elements into a two-dimensional motion graphics setting. The production process will include an overview of modeling, lighting, shading and rendering techniques in a 3D application. Then the course will also explore how to integrate these assets into a 2D animation setting and techniques of creating a professional, polished result quickly and efficiently. Submit a personal statement of educational objectives that details attributes the candidate brings to graduate study, including expectations and professional goals they wish to achieve. International applicants whose native language is not English must submit scores from the TOEFL, IELTS, or PTE. A minimum TOEFL score of 90 (internet-based) is required. A minimum IELTS score of 7.0 is required. The English language test score requirement is waived for native speakers of English or for those submitting transcripts from degrees earned at American institutions. The portfolio, along with written records of achievements and recommendations, serves to inform the faculty of the applicant’s readiness for advanced graduate study. It provides understanding into the applicant’s performance to date, ability to create advanced, self-directed work and his/her aesthetic development and maturity. Please visit the Graduate Portfolio Requirements page to learn more about portfolio requirements and submission information.